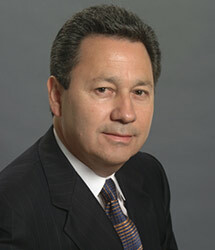 Art M. Gastelum is President and Chief Executive Officer of Gateway Science and Engineering (GSE). Located in Pasadena, California, GSE specializes in construction management and engineering of public works projects. This emphasis on public works resulted from his experience during his 18 year tenure with Los Angeles Mayor Tom Bradley. In addition, Mr. Gastelum’s long-standing dedication to public service is represented through his commitment to assist in the development of small, emerging, minority and women-owned businesses. As President of GSE, Mr. Gastelum is responsible for establishing corporate goals and developing execution strategies. Because of Mr. Gastelum’s extensive experience in construction of public works projects, he has developed strong strategic alliances with major construction management and engineering firms. These alliances have resulted in the participation and completion of projects valuing over $45 billion dollars. Since GSE’s inception in 1993, GSE staff has increased from 3 key employees to over 60 full time employees. Mr. Gastelum has also established joint ventures with fortune 500 companies and is currently working on major development projects in housing and commercial development. Prior to forming GSE, Mr. Gastelum worked in the Mayors’ Office of the City of Los Angeles, where his lastassignment was Director of Economic Development. Upon leaving the Mayor’s office, Mr. Gastelum formed Gastelum & Associates, a government relations and business consulting firm which represented numerous fortune 500 companies doing business with the City of Los Angeles and Mexico. During his 18-year tenure in the Bradley Administration, Mr. Gastelum had liaison responsibilities for numerous City Departments including the Mayor’s representative to the Department of Water and Power, with oversight responsibility for a 2.4 billion dollar budget and 11,000 employees. During the 1984 Olympics, Mr. Gastelum had the distinction of being appointed as Mexico’s attaché to the Olympics, while at the same time serving as the 1984 Olympic President Peter Ueberroth’s envoy to Mexico. As a strong supporter of NAFTA, Mr. Gastelum served as a special advisor to the City of Los Angeles and worked closely with the Mexican Government to insure its passage by the U.S. Congress. In August of 1994, Mr. Gastelum was appointed as foreign observer for Mexico’s Presidential election. In 2002, Mr. Gastelum was appointed by Los Angeles Mayor James Hahn as the Chairman of the International Trade Committee for all NAFTA countries. Mr. Gastelum is currently very active in assisting local businesses in establishing business relationships in Mexico and Latin America as well as other industrialized countries. Mr. Gastelum has over 30 years of business, project, government affairs, and real estate development experience and is a civic and community leader involved in a number of local and state issues. He is a Member of the New America Alliance, an organization of American Latino business leaders committed to leading the process of Latino empowerment and wealth-building by expanding the forms of capital most crucial for economic advancement, including economic capital, political capital, human capital and philanthropy. Mr. Gastelum serves on the Board of Governor’s for USC’s Alumni Association, Board of Directors for USC’s Latino Alumni Association and Los Angeles Mission College Foundation. Mr. Gastelum has a Masters Degree in Public Administration from the University of Southern California and a Bachelor of Science Degree in Political / Finance from California State University at Los Angeles. He and his wife Lillian of 43 years have four grown children, and currently reside in San Marino, California.